325 HST ... no significant signs of tsunami on oahu -- so far. Hotline for German speaking people and people out of Germany for further informations and known facts: +493050003000 - Est. by German government. 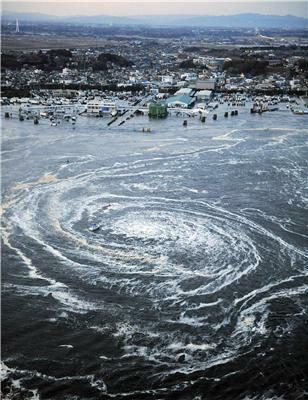 The death toll has now risen to 60, the Associated Press is quoting Japanese police as saying. How about Brisbane, Australia? Any news about current situation there? 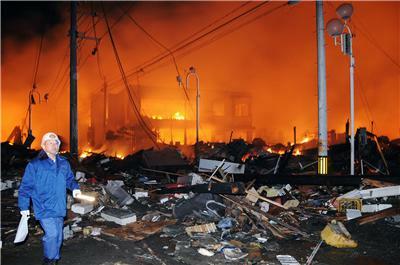 Jiji reporting that Miyagi Prefecture police say 200-300 bodies found in north-east Japan's Sendai city. Water could reach 2 metres high when it hits parts of the northern Californian coast, and could force some evacuations, says California Emergency Management Agency spokesman Jordan Scott. First signs of tsunami appear on Hawaii beaches, according to local television. Any news on Hawaii yet? No need to worry, its just a cooling malfunction and the evacuation is only a precaution, after all no leaked radiation has been detected. The mincing of words is getting quite delicate. This situation is very dangerous. Seems the front part of Costco building in Tokyo has collapsed ..
Sendai city is in bad shape and lot of old buildings made of wood are on fire..Total devastation. 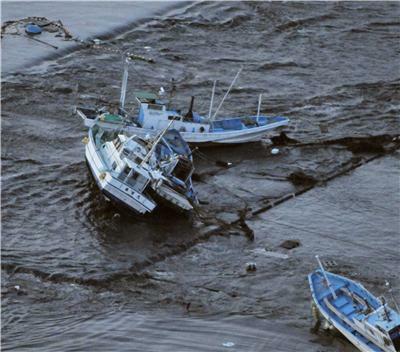 Ships ,Cars and trucks swept by Tsunami have added to the fire due to stored gasoline helping light the fire. I think this tragedy highlights how we have absolutely no control over our lives when things like this happen... I also think we forget how lucky we are! Any news on the dam collapse? Emergency services people are working very hard ,without caring about themselves ,to bring comfort to the earthquake affected people. Obama also says the global community can manage oil supply disruptions. He says he will keep all options on the table when it comes to oil price disruptions and that the U.S. is prepared to tap the strategic oil reserve.